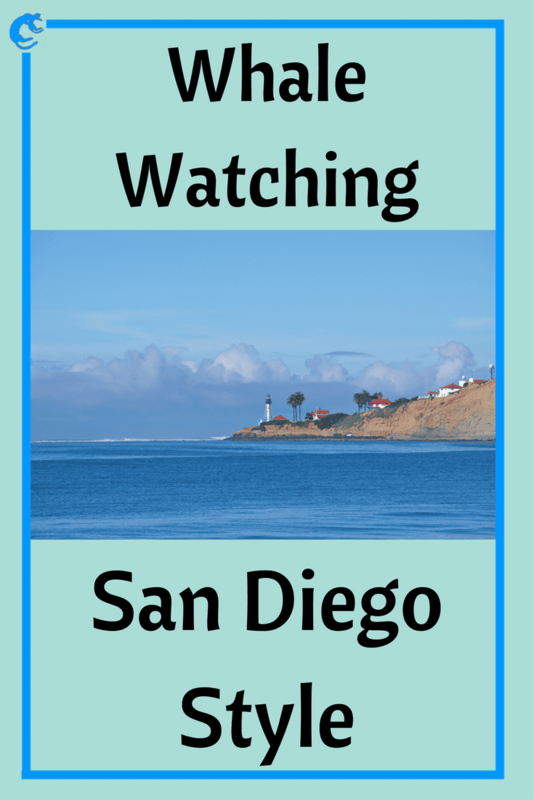 Is whale watching in San Diego any fun? We have been asking ourselves that question every time whale watching season came around (mid-December to Mid-April). Admittedly, we are whale watching snobs. Don’t get us wrong, we love whales and have driven deep into Mexico twice to the Unesco World Heritage site of the Whale Sanctuary of El Vizcaino to interact with the mothers and calves in their birthing lagoons from a small ponga. 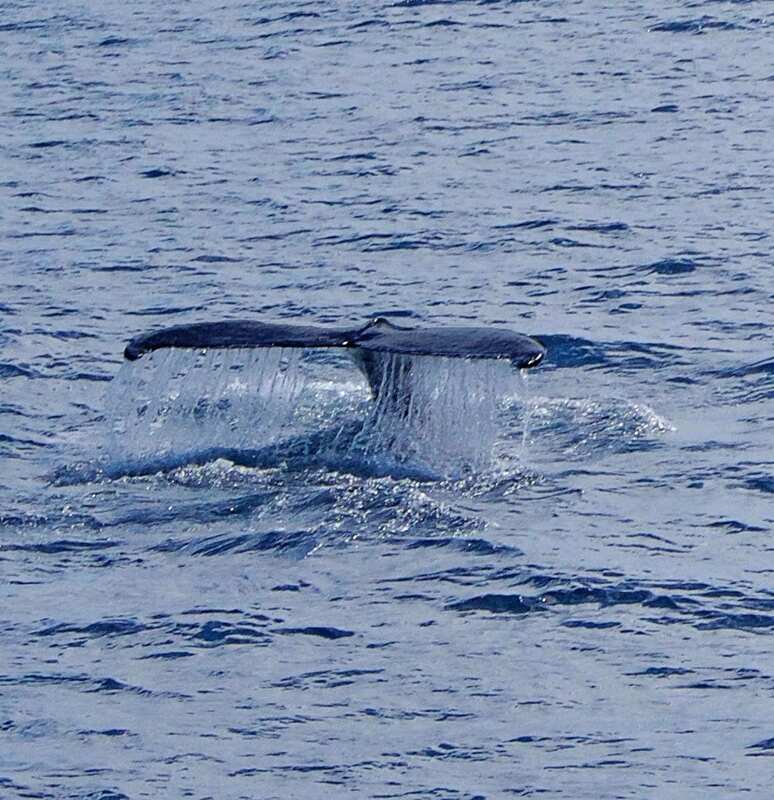 We just couldn’t believe watching whales from a 200 person ship could be worthwhile. Jenn is a local Concierge, and she had a duty (and an invitation) to check out the local whale-watching tours. We gave it a go and came away surprised and pleased with the experience. 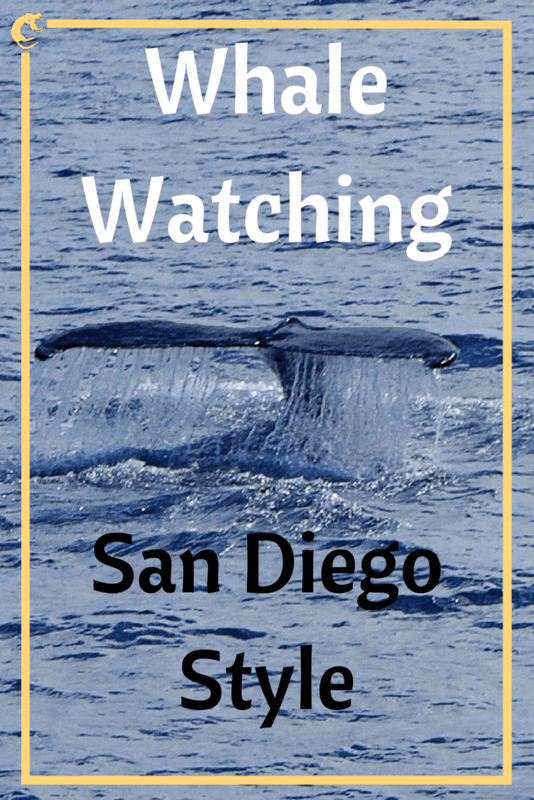 If you haven’t seen a whale in person and you find yourself in San Diego during whale season, you should definitely check it out. You’ll feel the marine magic, while also getting a waterfront tour of San Diego Bay. The whale watching pier is right next to the Midway Museum, which is not to be confused with the other Hornblower pier by the Maritime Museum. Don’t worry, that mistake isn’t worth re-parking for. You just get a bonus ½ mile walk along the waterfront that is scenic enough to be claimed as a walking tour. If you are staying downtown / Gaslamp you can just walk here. If you’re in Mission Valley / Old Town you can take the trolley. If you’re driving, like we were, there are plenty of lots open that time in the morning. Since the Midway is right next door, we are including their alternate parking map. Ticketing was right at the pier and (after an obligatory canned photo op) we were underway. There was ample seating on the boat so we wandered around to whatever was catching our attention at the moment. The first such opportunity happened immediately as we pulled out. We had a magnificent view of the USS Midway. Then, as soon as we cleared the Midway, there was the Coronado Bridge, then the San Diego skyline, then Pt. Loma Lighthouse. Tell you what, we’ll put our best pictures in the slider and you’ll get to see for yourself. 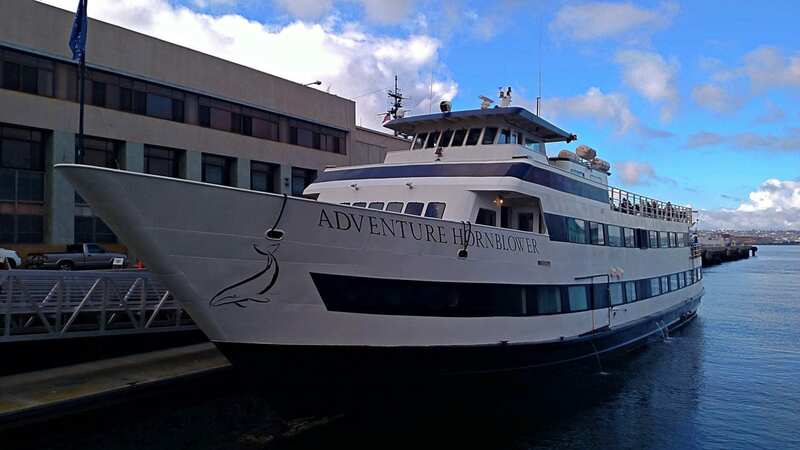 There is plenty of eye candy as you’re navigating your way out of the San Diego Harbor. This is our whale watching ship. It’s bigger than a ponga for sure. It does have a snack bar and restroom and you could find a view off of any side. 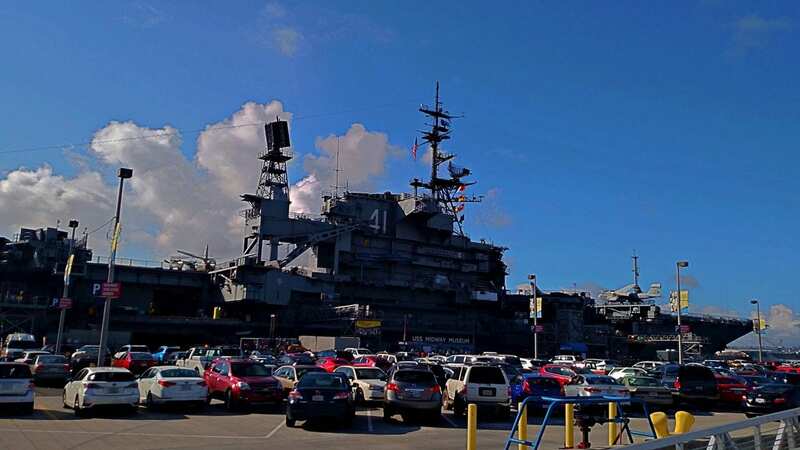 The USS Midway was commissioned one week after the end of WWII. She was the largest ship in the world until 1955 and served for 47 years including serving as the flagship for the Persian Gulf War. She sits very close to the whale watching pier. This is a view from the sun deck as we were leaving. 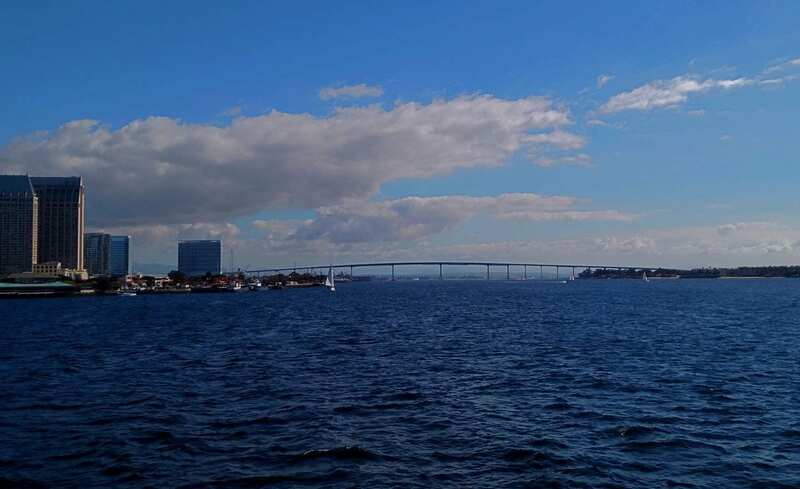 As soon as we cleared our slip we had this beautiful view of the Coronado Bridge. The bridge had 200′ tall to allow navy ships from the south bay to pass underneath. Because of the height, the bridge had to be curved to allow for a reasonable grade. 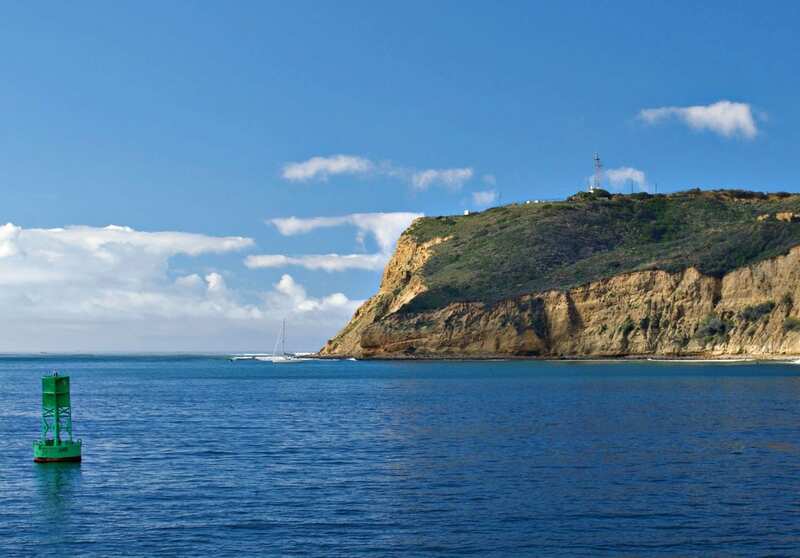 Point Loma (Spanish for hill) is the home of the US 3rd fleet, Cabrillo National Monument (after the first European explorer to reach California who made landfall here), and Rosecrans National Cemetery. It’s also home to some might fine tide pooling. 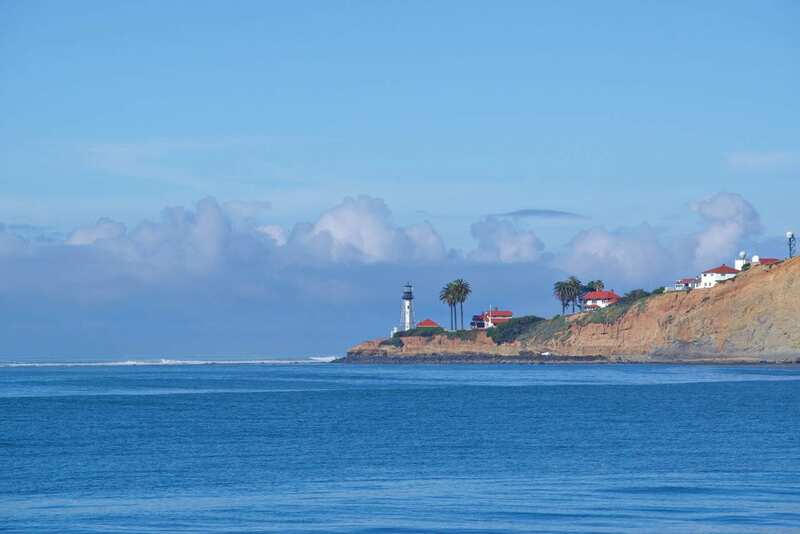 The historic Old Point Loma lighthouse was built on the top of the hill. It seemed like a good idea until they realized the marine layer often obscured the light. This is the replacement build in 1892 that people could actually see it. 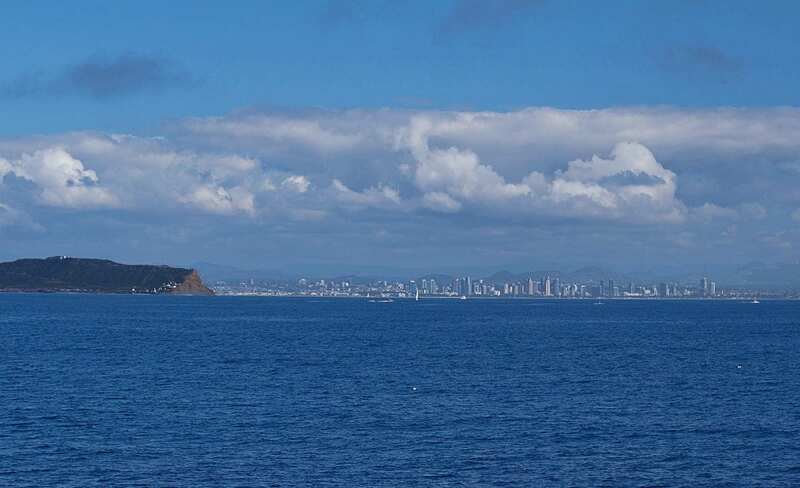 We are now further out to sea and you can see the Point Loma to the left and the city of San Diego in the background. We actually took this shot on the way back in because of the cool clouds. The San Diego skyline is still in the background. We thought there would be a lull in the excitement after the harbor and before the whale watching begun we were wrong (again). The magic of being surrounded by water with the wind in your hair while cruising out on an adventure was tangible. Everybody was eager to see whales, but soon, another game was afoot. Dolphins were playing in the bow wake. 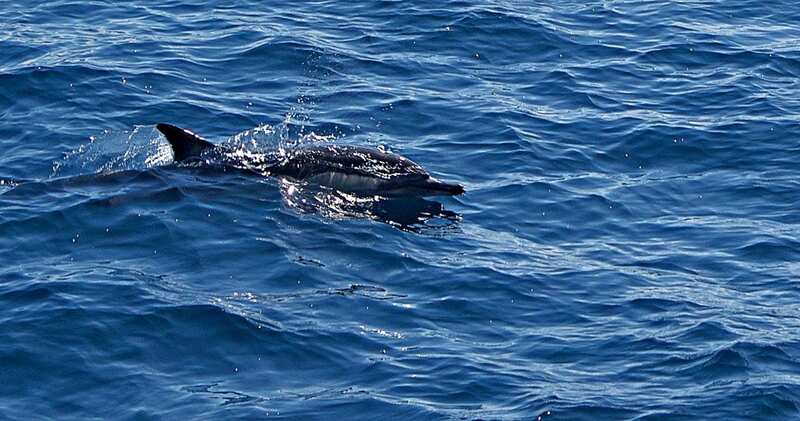 Our ship had a special wake amplifier, presumably to make things safer for the whales, but these dolphins thought it was their toy. They jumped and splashed and put on quite a show for us. 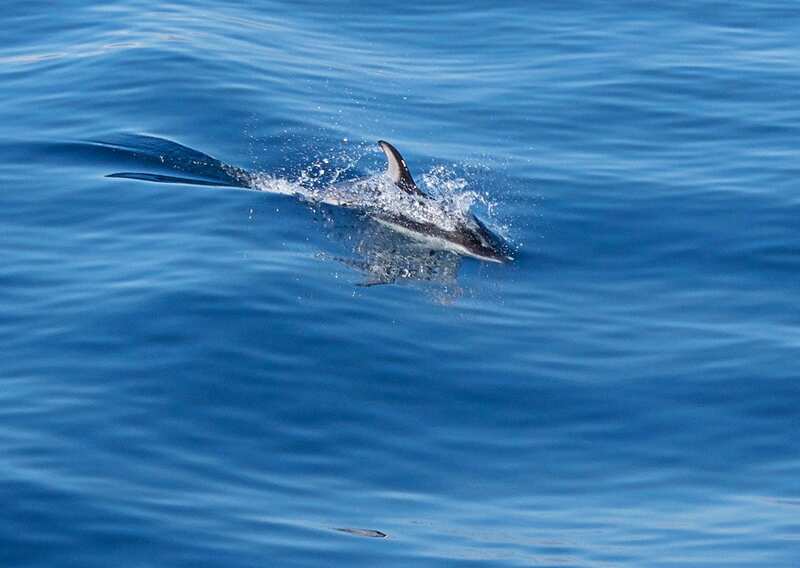 Some of the passengers thought the dolphins were even better than the whales. There is a special channel for whale watchers on the marine band radio so the Captain knew where he was taking us. First, we saw some other boats and then the beauties surface and exhaled a big breath. This behavior is called blowing or spouting, which the whales have to do after diving. Then, they take a series of deep breaths called logging, where their bodies are out of the water and their tale is still submerged for power. The ship slows down to match speed with the swimming whale and a respectful distance, about six knots. As we pointed out with cruising, slow moving boats make you more prone sea sickness. We didn’t feel any adverse effects, but you want to make sure you take precautions if you are prone to seasickness. The crew will remind you of this before you get underway (since pills take a while to work) and have medicine for purchase if you forgot. This was early in the season so the whales were heading south to their winter homes and breeding grounds in Mexico. You can see from how close we were from our pictures. It was close enough to hear them breathing but the telephoto lens certainly helped. After a couple of minutes of breathing the whale starts its dive by fluking. Its tail flips into the air and it is gone for about six minutes. 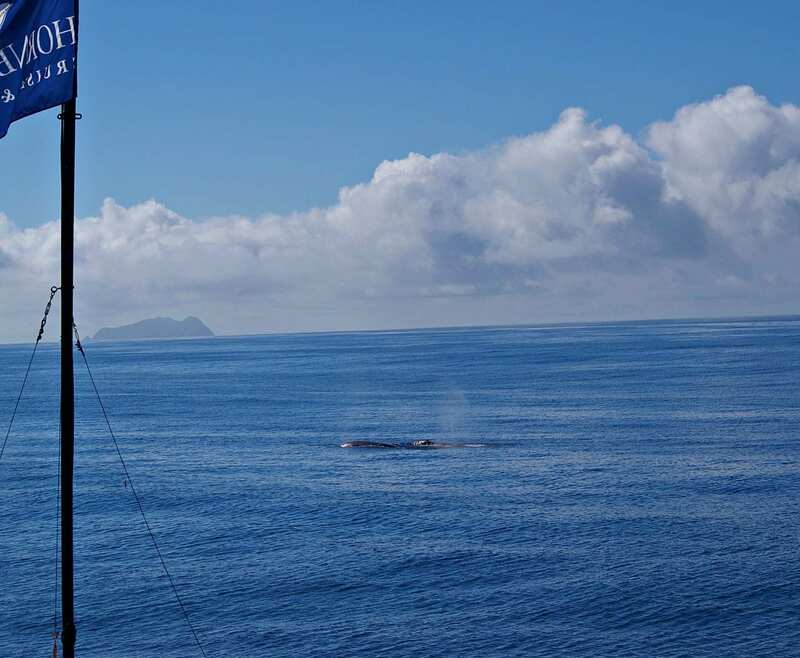 Our captain kept the speed and bearing so we got to watch this cycle several times per whale. Unfortunately, there was neither breaching nor spyhopping. It seems like these whales were on a mission for Mexico. We saw about a dozen gray whales that day, primarily females heading south. Males travel earlier in the season both directions. The females intend to have their calves once they reach Mexico but, occasionally you will see a newborn on the journey southward. 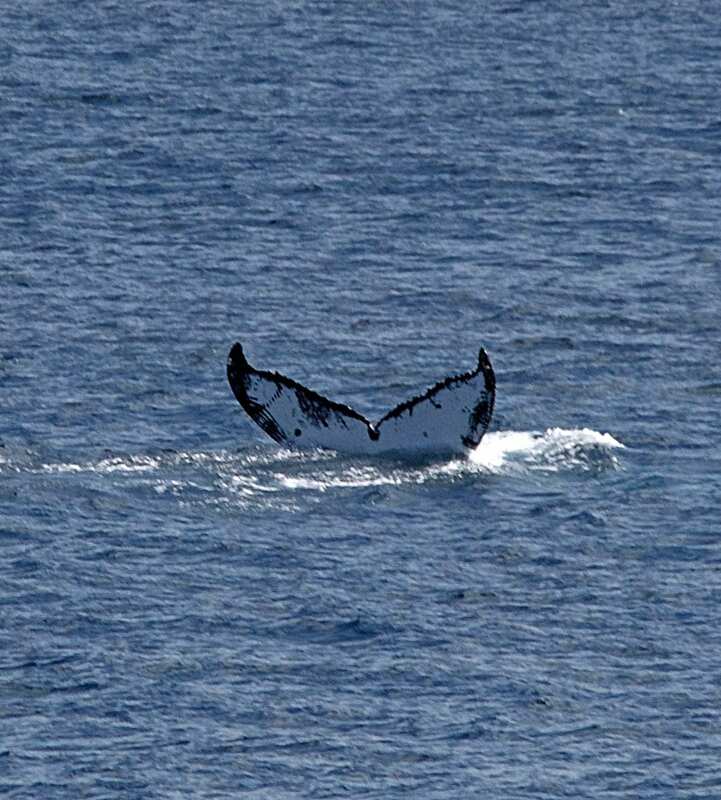 We also saw a couple of humpback whales with their magnificent flukes (tails). 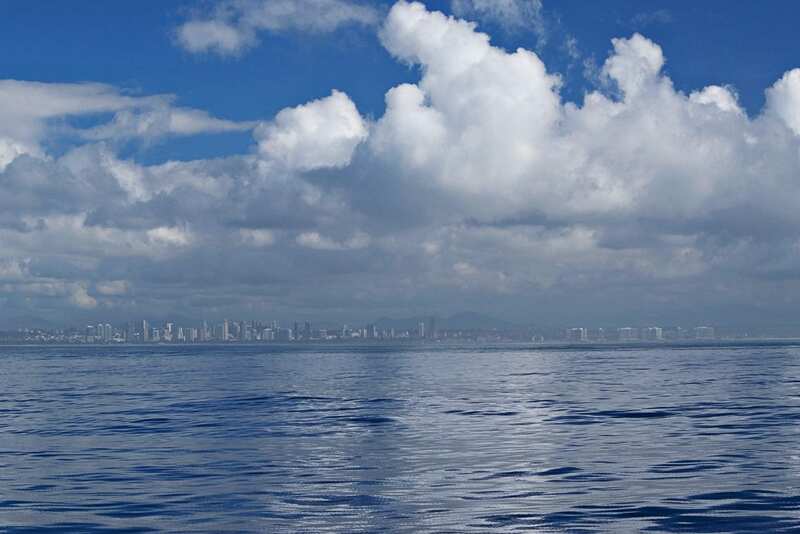 Occasionally, on a very good day you will even see a blue whale cruising around. 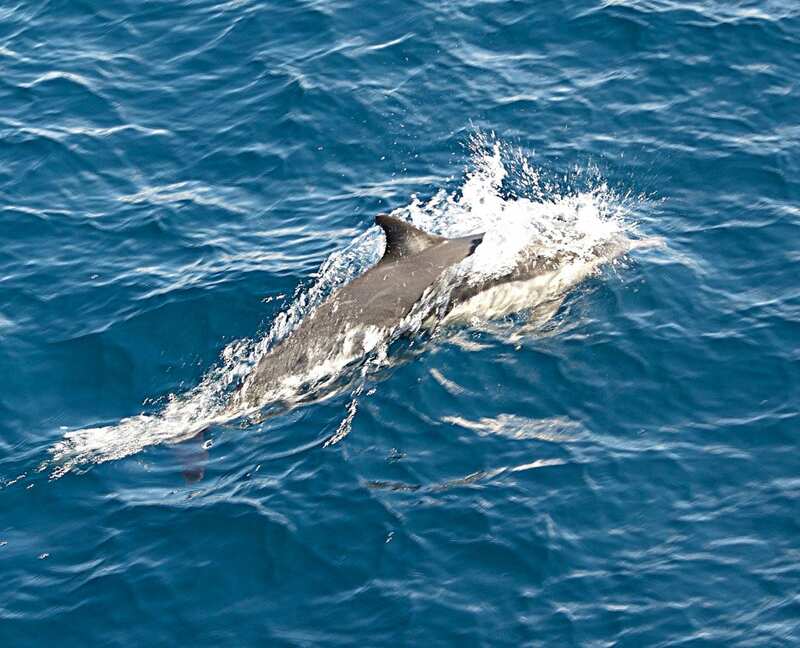 The first of our friendly dolphins swimming in the wake. We were really cruising along so it was amazing that they could keep up. Another dolphin shot were we could see his cute face and little nose. Now a dorsal shot… OK, I am running out of things to say…. How about at one time there was up to ten dolphins playing in the wake. 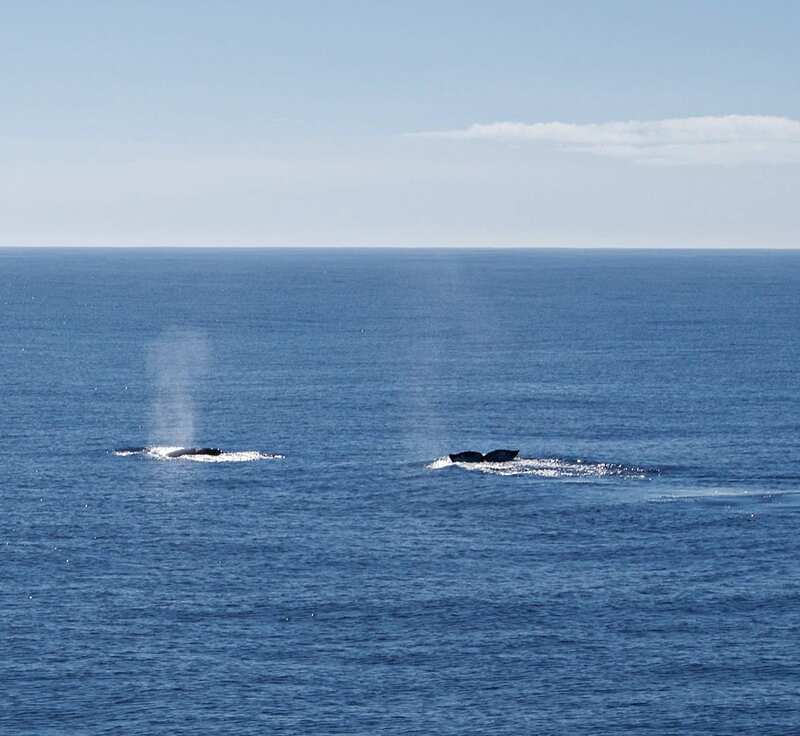 Here a pair of whale demonstrated all the behaviors we saw: spouting, where they let out a big breath, logging, where they swim with their backs to the surface and fluking before they dive. This little guy is getting ready to disappear and leave nothing but a whale footprint on the water. He’ll be down for about six minutes so we’ll just keep our speed and bearing and wait for him to return. This particular fluke belongs to a humpback whale. You can tell by the distinctive black and while pattern. You don’t always see humpies so this was kind of a…. fluke. We wanted to include the mast for perspective on how close the whales were. On a side note, the islands you see are Mexico so this little baby has almost made it to Mexico. It’s still another about another 1000 kilometers down to the birthing lagoons, but who’s counting. 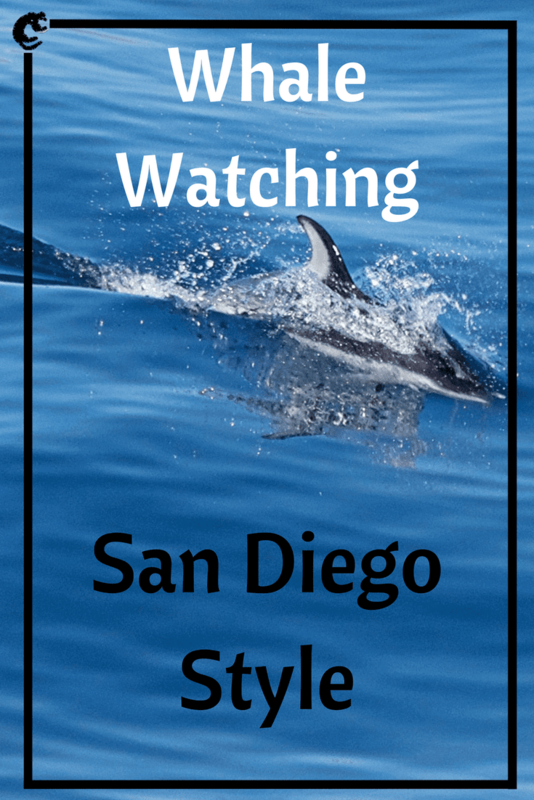 If you find yourself in San Diego in the springtime, we highly recommend starting your day with a scenic whale watching tour. Afterwards, be sure to take advantage of all of the great sights and tastes San Diego has to offer.